Scott F. Cooper, chair of Blank Rome’s Labor & Employment group and former chancellor/president of the Philadelphia Bar Association, has been elected president of the Temple University Alumni Association and a member of the Temple University’s Board of Trustees. His two-year term began July 1, 2014. Cooper was elected president-elect in 2012. In this role, Cooper will lead the Executive Committee and the TUAA Board, which is comprised of 54 members representing all of Temple’s 17 schools. 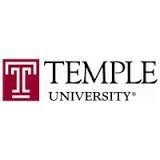 Founded in 1927, the TUAA represents Temple University’s 285,000 living alumni in 50 states and more than 143 countries. Its core purpose is to promote and support Temple University by fostering lifelong global engagement with alumni, students, and the Temple family. The TUAA is the umbrella organization for Temple’s school and college alumni associations, the Young Alumni Committee, shared-interest alumni groups, and regional alumni clubs. For additional information, visit www.myowlspace.com.